It is very well said stomach is the way to heart. Get online this fascinating Chocolate flavor cake for your friends, family or spouse or any kind of celebration. 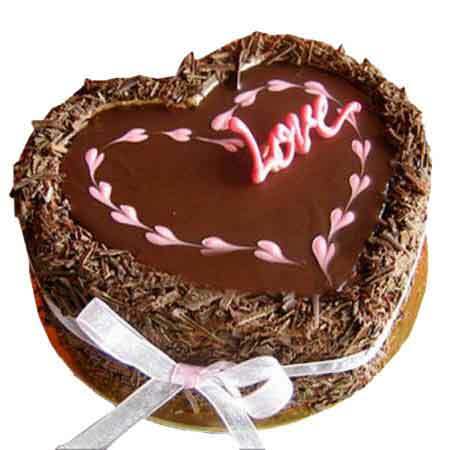 This amazing half kg Choco dust heart cake with soft sponge and shavings of chocolate all over will be a star of the party.